Fixed departures are best way to enjoy scale of economy while ensuring comfort & divinity of the yatra. We are specialise in smooth fix departure operations either its overland or helicopter packages. Our fixed departures are originally scheduled from Haridwar/Dehradun, however we arrange pick-up & drop from Delhi also on additional cost. Day 01: Haridwar – Guptkashi/Rampur (220kms/8-9hr) Height: 1319 MTS. Morning after breakfast, drive to Guptkashi via Rudraprayag & Devoprayag. Enroute you can see the beautiful river Mandakini at Tilwara. The Mandakini river comes from Kedarnath, drive alongside the river to reach Guptakashi, visit Ardh Narishwar Temple in Guptakashi. Check into the hotel arrival in Guptakashi. Overnight stay at Guptakashi. Guptakashi:- The name Gupt Kashi means “Hidden Benares. Mythology describes how when the Pandava brothers were searching for a glimpse of Shiva, Shivji first concealed himself at Guptkashi, but later fled from them further up the valley to Kedarnath, where the Pandavas finally got their wish fulfilled. There are more tangible connections as well-the Kedarnath pandas (priests) live in Guptkashi during the winter months, and after the Kedarnath temple closes for the winter, the image of Kedarnath passes through Gupt Kashi on its way to Ukhimath (across the valley), where it stays for the winter. Day 02: Guptkashi/Rampur – Kedarnath – Guptkashi/Rampur (30kms by road & 19kms Trek one way) Height: 3384 MTS. Day 03:Guptkashi/Rampur- Govindghat(170Kms/6 Hrs by road) Height: 3134 MTS. After morning breakfast drive to Govindghat via Ukhimath, Chopta, Pepalkoti&Joshimath. En-route visit winter abode of Shree Kedarnath Ji at Ukhimath. On arrival, check-in at the hotel for dinner & overnight stay at Govindghat. Ukhimathis small town located in Rudraprayag district.Ukhimath was the land where the wedding of Usha and Anirudh, grandson of Lord Krishna was solemnized. It is also a famous pilgrimage center and known for its ancient temples dedicated to Usha, Lord Shiva, Goddess Parvati, Aniruddha and Mandhata. 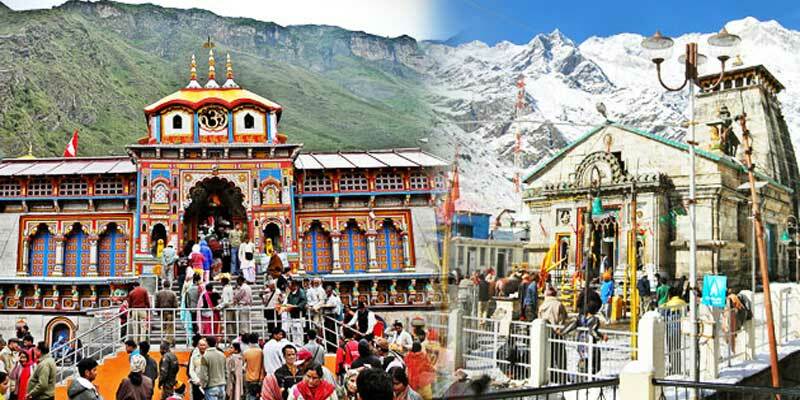 UtsavDoli of Lord Kedarnath and Madhyamaheswar are brought to Ukhimath during winter and worshiped for six months. The temple also holds year round pujas of Lord Omkareshwar. 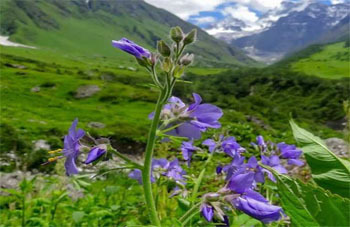 Situated on the road connecting Guptkashi with Gopeshwar, the holy town is mainly inhabited by the priests of Kedarnath temple known as Rawals. Day 04: Govindghat – Badrinath (25kms/1 hr) Height: 3133 MTS. Morning after breakfast, drive to Badrinath. Check in to the hotel arrival in Badrinath. Pilgrims after having a bath in the Taptkund have the Darshan of Badrivishal & Aarti in evening. Brahamakapal is significant for Pinddan Shraddh of ancestors (Pitrus). There are other interesting sightseeing spot like Mana, Vyas Gufa, Maatamoorti, Charanpaduka, Bhimkund and the “Mukh” of the Saraswati River. Just within the three kms of Badrinathjee. Overnight stay at Badrinath. Day 05: Badrinath – Joshimath-Vridha Badri – Rudraprayag/Srinagar (160kms/7hr) Height: 895 MTS. Morning after breakfast, driver for Rudraprayag via Joshimath. Visit on the way Narsingh Temple in Joshimath,Vridha Badri, Karan Prayag,Nand Prayag, later drive back to Rudraprayag via Joshimath. Check into the hotel arrival in Rudraprayag/Srinagar. Overnight stay at Rudraprayag/Srinagar. Morning after breakfast, drive for Haridwar via Rishikesh.En-route visit Dhari Devi temple, Dev Prayag one of Panch Prayag. Rishikesh ‘place of sages’ is a celebrated spiritual town on the bank of Ganga and is surrounded by Shivalik range of the Himalayas on three sides. It is said that when Raibhya Rishi did hard penances, God appeared by the name of ” Hrishikesh ” and this area hence firth came to be known as Rishikesh. Check in Hotel. Later visit Rishikesh Temples & Sight Seeing – Laxman Jhulla, Ram Jhulla. Drop at Haridwar. Accommodation for 5 Nights on quad/six sharing in standard package and Double sharing basis in deluxe package as per the above itinerary. Breakfast & Dinner at Hotel. Helicopter Tickets at Kedarnath Ji. Any other expenses incurred due to bad weather, road closure, land slide etc. Anything not specified in package inclusions. Children between 0-5 Yrs will be complimentary (without bed & without sheet in the vehicle). Children between 5-12 Yrs will be charged at the rate of 75% of adult cost (with/without bed & with sheet in the vehicle). Children above 12 Yrs will be considered as an adult, hence will be full charged. 2100 per person of package cost at the time of booking to confirm the seat. 2100 per person per month of package cost will be paid . Remaining balance on or before arrival. Cancellation on or before 30 days of arrival will attract 25% of package cost as cancellation charge. Cancellation on or before 15 days of arrival will attract 50% of package cost as cancellation charge. Any Cancellation between 15 days of arrival will be treated as no show & attract 100% of package cost as cancellation charge. Re-scheduling will be free of cost but subject matter of availability & other modalities.